Squashes are juicy and vitamin rich. 'Gods own country' - Kerala is rich and blessed with all sorts of fruits spread all around. We shoul make the best use of it so that its easy to impress others with our special and different type of squashes made in our houses itself. Methods for preparing 'Lemon squash', 'Orange squash', Mango squash and 'Pineapple squash' are revealed in this article. 'Gods own country' - Kerala is rich and blessed with all sorts of fruits spread all around. It is the time to make the best use of the gifts of God. Come let us enjoy some of the juicy and vitamin rich squashes that can be easily made in quick time. Methods for preparing squashes of Lemon, Orange, Pineapple and Mango are revealed here. Follow the steps and you can impress your family and guests with some magical juicy squashes that they may have never tasted. Potassium Meta bi-sulphite (K.M.S) is a preservative which is used only in squashes as a bleaching agent and has a strong smell. It looks like rava and is white in colour. Citric acid is used for; souring, as a preservative, to clear the sugar syrup and to avoid re-crystallization. Cut some nice ripe lemon from its middle and extract its juice using squeezer or by yourself. Filter it with the help of a clean cloth and keep it aside. Mix sugar, water and lemon juice (6 to 8 lemons) together and put it on the gas. Remove it after the first boil and filter it completely. After making it, cool it and add proper quantities of Potassium Meta bi-sulphite (K.M.S), colour and essence if needed to make it more attractive and tastier. Stir it properly for some time. Now pour it into a sterilized bottle and cork the bottle. Make sure that little space is left on the top of the bottle. You can now enjoy your lemon squash with others. Remove the skin of orange and separate its segments inside. Put it in a juicer and extract its juice. If the juice is to be made with the help of 'kitchen master', the seed and fibrous portion is to be removed and then the remaining is to be made into small pieces to work it out in the kitchen master. Remove the juice and filter it completely. Prepare syrup using sugar, water and citric acid and put it on the gas. 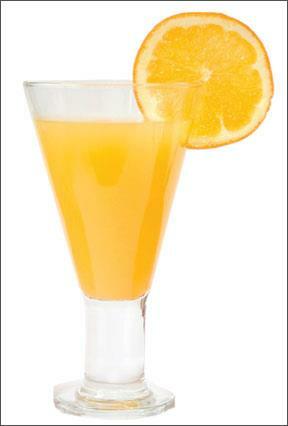 When it is ready allow it to cool and add Orange juice, colour, Orange essence and K.M.S and stir it properly. Fill it in a sterilized bottle and your Orange squash is ready to use. Remove the skin of the Pineapple and cut it into small pieces. 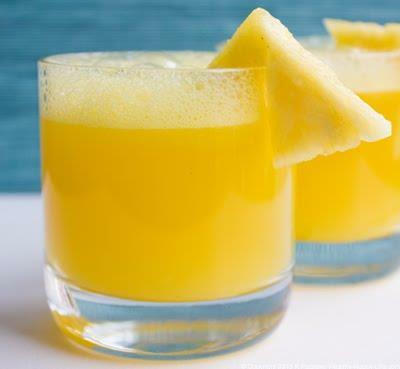 Introduce it into a juicer or kitchen master and filter it completely after extracting the juice. Prepare syrup using sugar, water and citric acid and boil it. 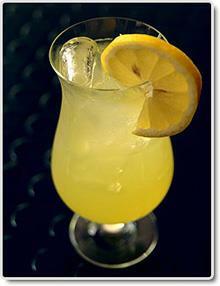 When it is ready, cool it and add Pineapple juice, colour, essence and K.M.S. stir it properly and pour it into a sterilized bottle. Now your Pineapple squash is ready to be used. Its preparation is almost similar to the Orange squash. First, remove the skin of mango and slice the fleshy part off. Put it in the juicer and extract its juice. Also if the juice is to be made with the help of 'kitchen master', its seed should be removed and the remaining is used to work it out. Prepare a mixture using sugar, water, and citric acid and allow it to boil. When it is ready, cool the mixture and pour mango juice, colour, essence and K.M.S into it. Now the squash is ready and fill it in a sterilized bottle for use. Try all the squashes and improve your talents a lot.